Thanks Alan for this interesting post, I have yet to see one of these birds. Are the tail feathers as fragile as they look? Good question! 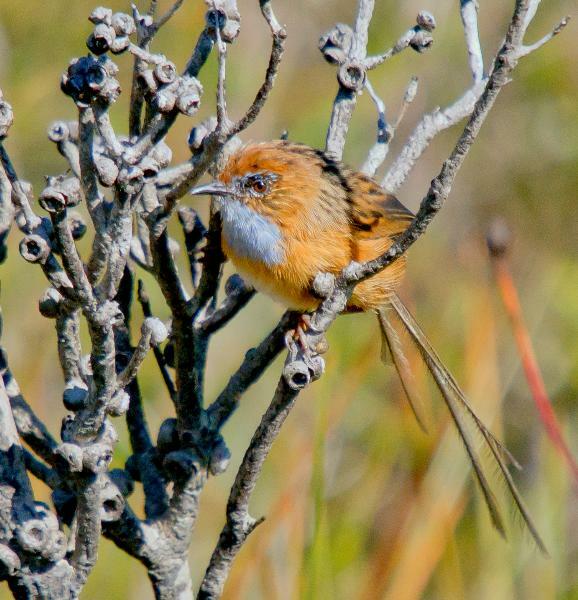 The tail feathers give the Emu wren it's name, because of their similarity with emu feathers. They look as if they have a fairly stiff 'spine', so they're probably more resilient than they may appear. 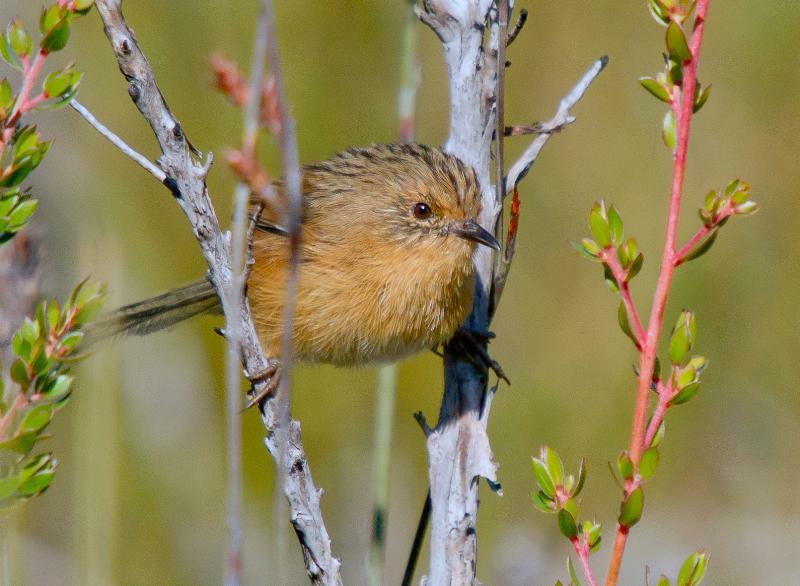 The fineness of the tail structure also makes this diminutive bird even harder to spot. I have wondered why this species occupies such a harsh environment, but obviously it survives quite well. Perhaps the relative lack of predators may be the answer. I'm heading out towards the Gordon Dam this weekend and I'm hoping to see these little darlings for the first time. (Striated Fieldwrens would also be great!) Do you have any favourite birding spots along the road? Are the "official" lookouts any good or do you pretty much have to find a spot with good habitat and pull off the road? I'd be grateful for any advice. Both species are found in or around the edges of button-grass plains. 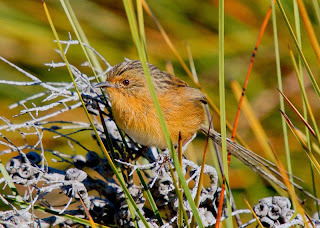 The fieldwren is arguably the commonest bird in this habitat and found widely, but is somewhat secretive and will probably require walking through the button-grass. 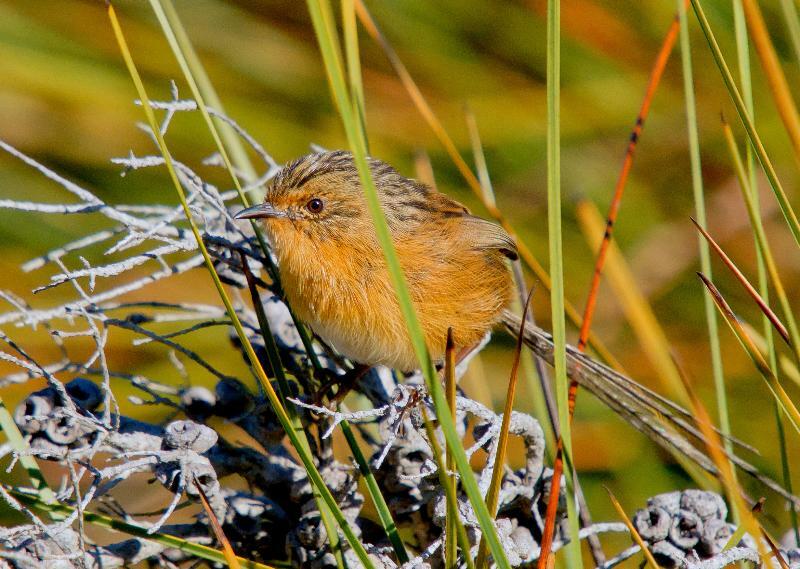 The Emu-wren is often found on the edge of these plains in low (c.2 metres or less) scrub. The lookouts are not generally useful and are mainly there for the view! I usually stop anywhere that looks "interesting", but walking far off the road is "challenging"!